It matters. It really does. 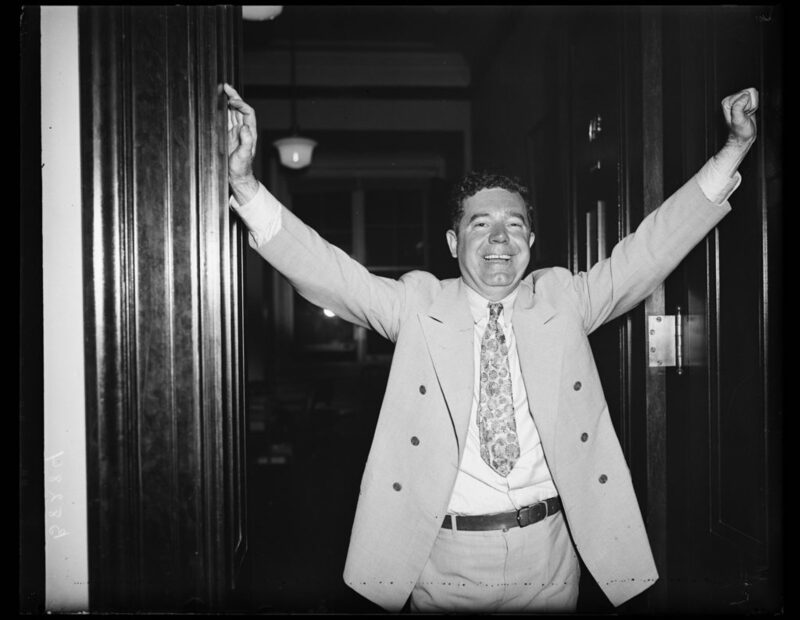 Huey Long, after his record-breaking filibuster in 1935. One constant of the inconstant Trump presidency has been his relentless call for the Senate GOP to invoke the nuclear option and abolish the 60-vote threshold for filibusters. To his credit, Senate Majority Leader Mitch McConnell has shown no interest in going along with Trump on the issue. In December, a spokesman for McConnell issued a statement reiterating that “the votes are not there in the Conference to use the nuclear option.” And, for the time being, the Democratic takeover of the House has the edge off Trump’s push, if not his contempt for traditional legislative norms. But the fate of the filibuster may not always be up to Republicans. As they move left, Democrats have already begun openly discussing triggering their own nuclear option. So this is where we are: a dangerous alignment of malign stars as Trumpist triumphalists and progressive activists unite in their passion for a Senate that can routinely pass major legislation on a bare partisan majority vote. Of course, Democrats ought to have learned their lesson from Harry Reid’s decision to nuke the filibuster for federal judges and Cabinet positions. Reid’s move provoked serious political karma; it won him some tactical and temporary victories when President Obama was in office, but has backfired badly under a GOP administration. In a way, it was a case study in the way the system is supposed to work; each side ought to be cautious about rule changes that can boomerang against them after the next election. That’s one of the reasons that #winning is not always the smartest move, because it can lead to #losing on a much larger scale in the future. For conservatives, the consequences could be catastrophic. In 2021, the 60-vote threshold may be the only thing that stands in the way of a nationalized health care bill that could otherwise be passed by the House, 51 votes in the Senate, and signed into law by President Bernie Sanders. This is why conservatives need to fall in love with the filibuster again. But that will require them to relearn the importance of the constitutional norms that have fallen out of favor in the age of Donald Trump. Given his profound ignorance of the Constitution itself, it’s unlikely that Trump has ever read the Federalist Papers. But this might be a good time for conservatives to remember why we have a Senate in the first place, a body that was intended to cool the political passions of the moment. “The necessity of a senate is not less indicated by the propensity of all single and numerous assemblies, to yield to the impulse of sudden and violent passions, and to be seduced by factious leaders into intemperate and pernicious resolutions,” Madison wrote in Federalist 62. In contrast, the Senate was supposed to be free from those passions and pressures. There is, of course, no mention of the filibuster in the Constitution, but it reflects the distinctive nature of the upper chamber, which was intended to be a sober, stable body more given to deliberation than passionate action at the behest of temporary majorities or demagogic presidents. Unfortunately, it hasn’t always worked out that way and the trend lines are not encouraging, especially as Congress as a whole continues to surrender its powers and its prerogatives to the executive branch. Which brings us the latest constitutional insult on the menu: presidential emergency declarations. We don’t yet know whether Trump will invoke an emergency to build his faux-wall and we can’t predict with certainty how the courts would react. But it doesn’t take much imagination to realize that it will set a dramatic precedent. Just last week, a publication widely read among energy and environmental professionals speculated about the possibility that Trump’s move might inspire a future president to declare an emergency on climate change. If Trump declares an emergency and it survives legal challenges, which is possible, Democrats would have a clear avenue created for them to address their concerns, according to Dan Farber, a law professor at the University of California, Berkeley. If Republicans are willing to use the power for a policy priority, such as immigration, then Democrats could feel emboldened — and legally justified — to do the same. The National Emergencies Act gives the president the ability to shore up industrial shortfalls, which could be used to expand access to clean energy, Farber said. That could include an expansion of battery and electric vehicle production as well as loan guarantees for the renewable energy industry, he noted. Restrictions could be placed on automakers to reduce greenhouse gas emissions from vehicles. And the president could invoke the International Emergency Economic Powers Act to address “any unusual and extraordinary threat,” such as companies and foreign countries that sell fossil fuels, Farber said. Implausible? Just last week, intelligence officials warned Congress than climate change should be considered a national security threat. 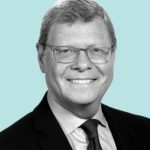 “Global environmental and ecological degradation, as well as climate change, are likely to fuel competition for resources, economic distress, and social discontent through 2019 and beyond,” said an analysis that [Director of National Intelligence Dan] Coats presented to lawmakers at a hearing with the Senate Select Committee on Intelligence. Once again, Republicans should be very, very careful what they wish for. The price for the wall – or other temporary victories – may be far, far higher than they imagine.